Running a Facebook ad campaign correctly can drastically increase your conversion rates, the number of website visitors and your overall success. But getting your ads to be successful on this popular social media platform and knowing what ads to run and where can take some time and money. Of course, as with all advertising, you have to consider the audience, the ad copy and content, the ad image (or images if you are pushing video ads) and so on to maximize brand awareness and strengthen the click-through rate. But how do advertisers improve the overall success rate of social media advertising, especially on Facebook? How do ads end up high on the news feed to really push the brand? In this article, I’m going to show you how to reduce the learning curve and take advantage of your competitors’ success (and create even better social media ads on Facebook!). More than that, you’ll also learn how to use Facebook to successfully re-target customers who have abandoned the sales pages, checkouts or carts on your website. If done well, this can help increase their chance of converting. And it works for all businesses. You’ll also learn how to capture customer details so that further interactions and transactions won’t have to rely on Facebook at all. 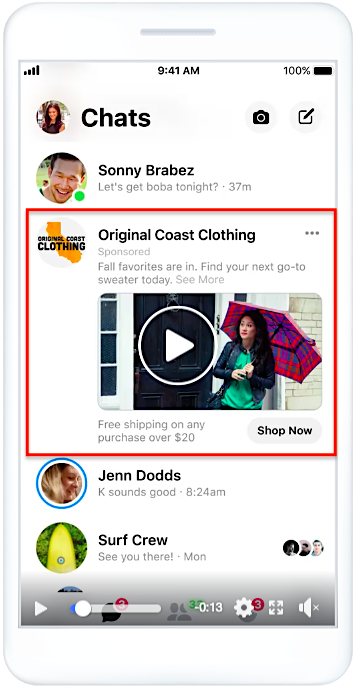 If you don’t already know, Facebook Messenger ads are a thing you can already set up. They’re fairly cheap if set up correctly and very effective, in my experience. With them, you can do a bunch of things at once, in a single interaction, that would take quite a bit to set up in virtually any other scenario. These conversations can easily be managed with bots. The bot we use can collect quite a few different types of customer data, including email addresses. Bots can also help direct customers to the best offer or landing page for them. Once a customer starts a conversation with you, you’re also on their Messenger contacts as they are on your list. That means if they choose not to interact right away, you can always use this channel later. Also, if you have a Facebook ad that’s performing well (and may do even better after you read this article and implement a few of these hacks! ), you can use that within Messenger. Again, this will make you stand out more as there are currently few Messenger-focused ads. In order to set this up, you simply need to opt in to using “edit placements” in Facebook’s ad manager. One thing we haven’t used much is the ability for Messenger to send the potential customer to your business’ app. If that’s something you’re interested in, it’s also an option. 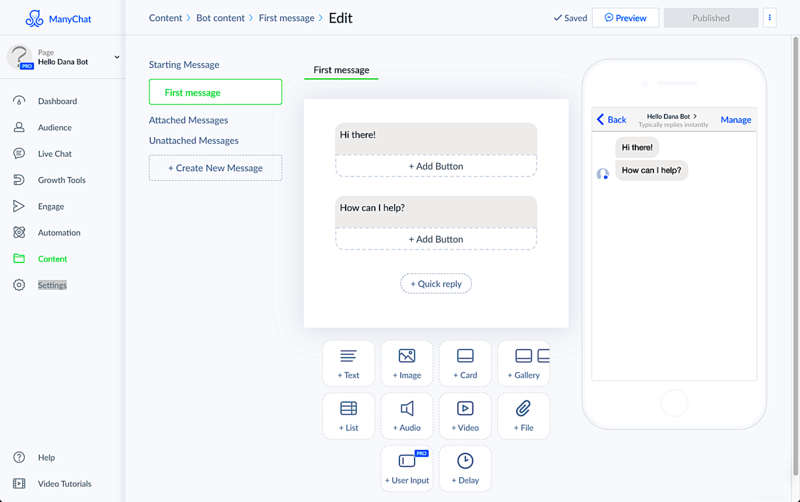 However, sending them to a bot-driven conversation, collecting their data, and then sending them to a landing page in order to set up a pixel is our recommended set-up. We can get them on our Messenger list, get their email addresses, and set up a pixel. That entire trifecta can be set up with Facebook Messenger and Messenger ads. This is something not everyone is doing yet or is even aware that they can do. Now that you know, Messenger ads are something to start using and paying attention to. This is me speaking from personal experience. Instagram ads are, right now, too expensive compared to the alternatives. They also come with a smaller ROI than Facebook ads. I haven’t seen conversions that are remarkable enough to justify the added expense. If you are seeing better returns, conversions or traffic from Instagram, then it should go without saying to keep doing what you’re doing. (Maybe let me in on any secrets you have about selling your product, too!) It’s not impossible to do well or even better on Instagram, but I have personally seen a lot of people struggle and the few who do make it work have found Facebook ads to be more effective in the long run. Facebook, by default, pushes your messages and ads out to Instagram. It’s worth taking a minute to turn this off as the expense is typically not worth it. Simple and effective, marketing hacks don’t get much better. After you’ve selected to promote your Page or post, find the Automatic Placements button next to the ad preview. Tip: If you’re interested in doing something unique that will get you more attention than a standard ad, check out Facebook “stories.” For me, they’re performing better than a standard ad and, since you’re already on the Facebook ads platform, it’s worth trying them out. So, when they choose not to go through with the checkout, they then see a video on Facebook about what it’s like to be a customer. The video is designed to help them see what they’ll be getting and the video format is ideal for getting this sort of personalized message across. That’s a great way to get them to rethink things and, ideally, become a customer. In order to do this, you will have to have things set up so that you can track these impressions and see who abandoned their carts and so on. This is also a great strategy to combine with Facebook Messenger ads. With those ads, these things have already been put in place so that you can continue to monitor an interested party and re-target them as you see fit. The A/B testing options offered by Facebook aren’t the best. It can be unreliable and a bit hard to use at times. Still, you should be running A/B tests with the ads that you have. Some data is better than none or relying on your gut feeling for whatever ads you think are doing the best. Try some different tests. Attempt to use the data to improve your ads. Experiment and take notes. Even with Facebook’s simple A/B testing options, you’ll be getting enough data to do basic improvements and get a more scientific idea of what’s working and what’s not. This will show you exactly what they’re doing. It will show you all of their ads and how long they’ve been running. The longer the ad has been running, the better it’s probably doing. Do this for every competitor you can think of. Take notes. Study these ads and then create your own. The last thing you want to do is create a Facebook ad from scratch when you have this treasure trove of information at your fingertips. Most people fail with the first few ads they create because they start from scratch and have no idea what works. You can start with knowing, at least in part, what works for your industry and your target customers. There used to be a company called Trotta. They were a Google AdWords PPC (pay-per-click) marketplace. They even raised money from Google AdWords, that’s how successful they were at one time. When I initially talked to them, they told me something interesting: Google AdWords had, at that time, roughly an 11% customer return rate per month. I bet the same is true for Facebook. That’s crazy, right? Just 11% of customers would return to Google AdWords per month. Too many people, even you guys reading this article, are running ads on Facebook or have run ads and can’t make it work. Take these “hacks” to heart and use them. This type of research on your competitors and what is or isn’t working should be standard; it gives you an advantage. Within the Facebook Ads platform, when you run a new ad you can choose to duplicate an ad or use that ad’s (or post’s) ID. Most people are choosing to duplicate their ads because it’s more convenient. But when you do this, you are harming your campaigns. Each time you duplicate an ad, you are taking social proof away from the initial post. For example, say you have 10 ads, each one split off from the last, and each one got 10 engagements. They could be comments or likes, but you got 10 on each. That doesn’t make much of an impression. If someone looked at a post that only had 10 likes, do you think they’d be impressed? What if they saw a post or an ad with 100 combined likes and comments? That might encourage them to take a look if they have even the least bit of interest. 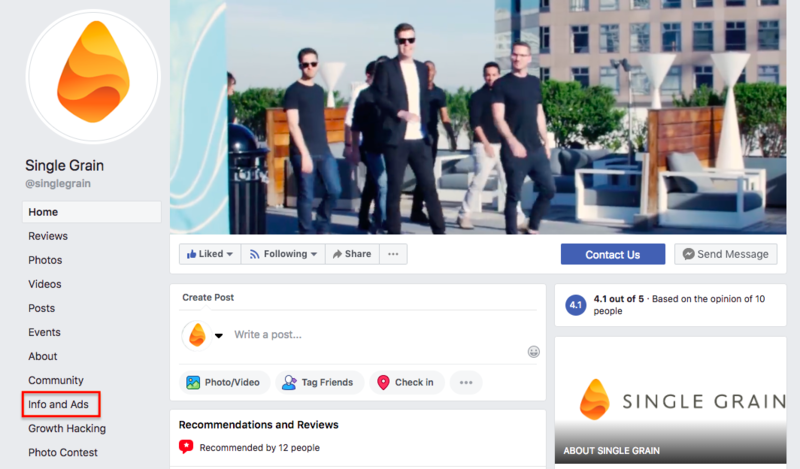 Now, if instead of duplicating you shared one single page or post, then all your social proof, both comments and likes, would be in one place. Consolidating these ads is pretty easy and something everyone should be doing. Once you’re in “Business Manager” you need to navigate to “Page Posts.” Get the ID for what you want to use and use that ID when you create a new ad. This helps you aggregate all of that social proof in one place. It’s going to let you build up your ads faster and create a more enticing offer or page. With more social proof, what you’re saying looks more legit. Over time, this will help you decrease costs in addition to improving your social proof. You’ll be running fewer ads, and each will be more effective. Putting all your attention in this one place will also help save you time. To sum up, you should already be using Facebook Ads. If you aren’t or you’re new to it, these hacks will still work for you once you get started. No matter who you are or what industry you’re in, these Facebook hacks are meant to help you make the most of the platform and get ahead. Research your competitors using Info and Ads. 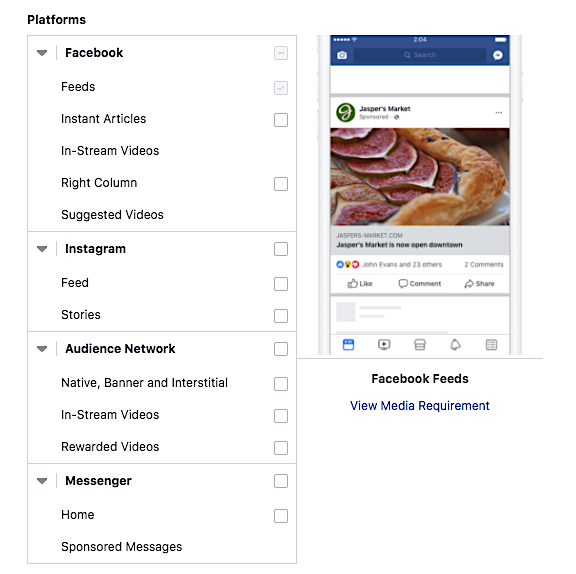 Then make sure your ads are consolidated (by using the same ID) and that you have some true A/B tests set up within Facebook’s A/B testing platform. After those steps, I would make new ads with Messenger and Stories. Finally, you will want to set up a system so you can re-target visitors who have abandoned a checkout page or cart if this applies to you. It’s possible for you to make use of all of these hacks, though some are a little more advanced than others. However, if I and thousands of other marketers can do it, you should be able to do it, too, to improve your lead generation and conversion rate. It may take time, but if you’re able to do it right, these hacks will reduce your Facebook spend and increase the effectiveness of your Facebook ads.